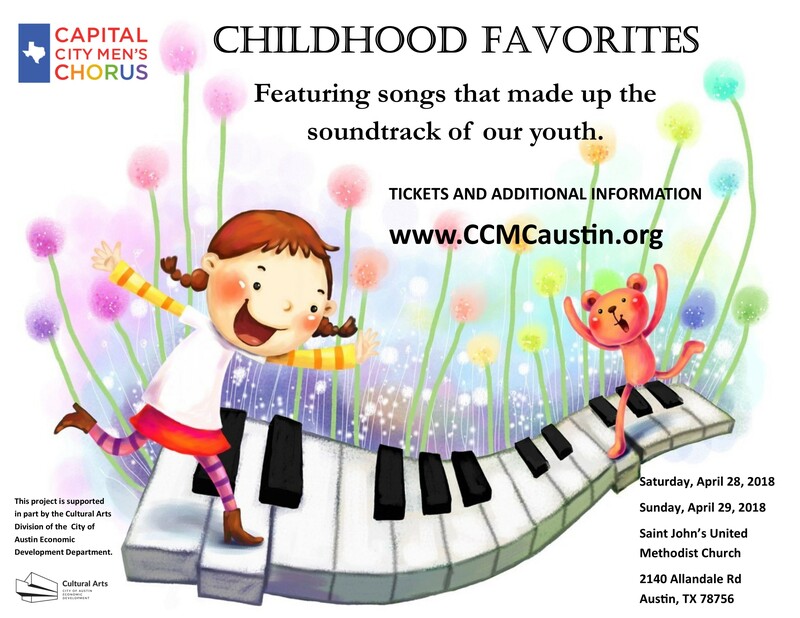 The Capital City Men’s Chorus presents our annual Spring Concert, Childhood Favorites: The songs that shaped our childhood and provided the soundtracks of our youth. Conjuring old memories through music is one of the most powerful ways to reconnect with the past. Whether it was cruising the back roads with friends on a hot summer day or enjoying a swim at your local pool or lake, the music that was playing in the background was always a constant companion. The men of the Capital City Men’s Chorus invite you to join us as we take you back to a simpler time. A time of classic songs that shaped the past few decades. You’ll hear songs from wonderful Broadway shows, Hollywood classics, and some old favorites that are sure to stir up some wonderful memories. We’ve also added a couple of newer songs to round out what promises to be one of our best shows ever! This concert will be the last one conducted under the baton of our long-time Artistic Director, Dr. Jeffrey Jones-Ragona. Jeffrey announced his retirement from the chorus in early March. You won’t want to miss his last official performance with the chorus as our A.D. Please join us at St. John’s United Methodist Church, 2140 Allandale Rd, Austin, TX 78756 on Saturday, April 28th at 7:30 pm, or on Sunday, April 29th at 4:00 pm, as the men of the CCMC serenade you with the music that provided the soundtracks of our youth! We hope to see you in the audience!